Here is a GREAT quick and simple treat that is sure to be a hit at every pool party and BBQ this summer, not to mention it is waist line FRIENDLY! 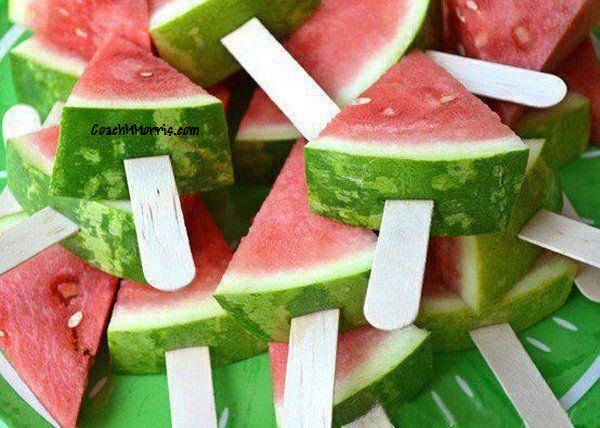 All you need.... a watermelon, knife, and Popsicle sticks! You can either chill and serve or serve frozen!